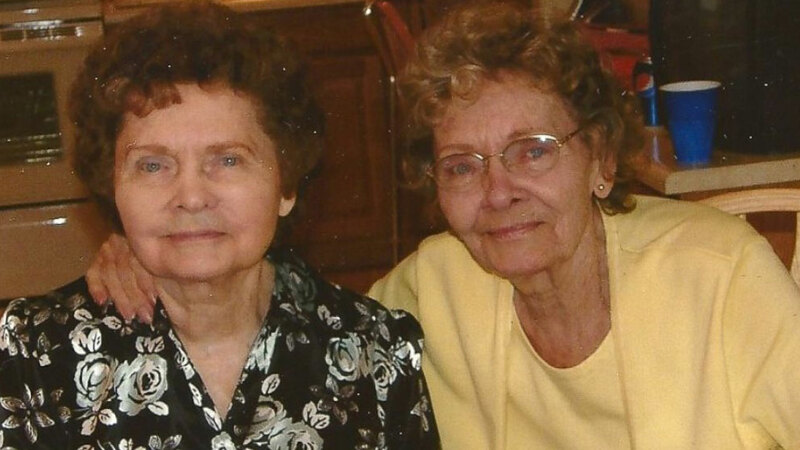 WHEAT RIDGE, Colo. -- A family remembered identical twin sisters this week after the 83-year-old women died just hours apart from each other. Helen Cook and Clara Mitchell were born on Jan. 2, 1932 in Fort Lupton Colorado. Cook was two minutes older, according to ABC News. Mitchell died Oct. 13th in Lakewood, Colorado, and Cook died just 18 hours later and less than 20 miles away at a retirement community in Centennial, Colorado. "It was a beautiful ceremony," Cook's daughter Dala Miller said. "It was exactly like their life was. It was intertwined, yet they were still separate, individual women." Relatives say the mortuary had never seen twins pass away on the same day. Cook was married for 34 years and had three daughters, five grandchildren and seven great-grandchildren. Mitchell had two children, two grandchildren and three great-grandchildren. Mitchell's daughter and caregiver Linda Sisk says she has fond memories growing up with her mother and aunt. "My memories of them are always birthday parties, Christmases, holidays, being together and playing golf with my Aunt and always sharing some occasions with my cousins," she said. "My mom had had Alzheimer's for about five years," Miller said. "I grieved for her for five years, so it was such a peaceful relief when my mom passed away. Not that it's not sad, but I had a harder time when we found out about Aunt Clara. That just set me over the edge. I always knew my mom was going to first, but I was OK with that because I was like, 'It's OK because I'll still have Aunt Clara,' and that was stripped away from me instantly." "Knowing that these two were two peas in a pod, it's not surprising that they went on the same day because they have always said to us of us daughters that they didn't want to be left alone," Cook's daughter Vickie Pepple said. "They always wanted to be the first ones to go because they couldn't fathom the thought of living without each other."